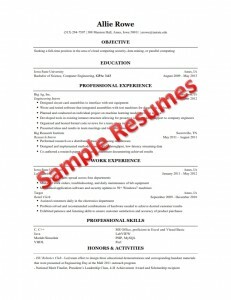 Your resume is a very important document that is used to apply for all engineering internships and full-time jobs. It is essential that you create and maintain a quality resume that represents your qualifications for professional positions. A well-crafted resume showcases communication skills and presents the carefully-selected information that indicates you possess the education, skills, experiences, and interests that will benefit the company. The best practices for developing an effective resume offered in this section come from experienced career services professionals who have reviewed thousands of resumes, as well as feedback from hundreds of top-level industry recruiters. It is important to understand that there are no “perfect” resumes, but there are effective and ineffective resumes. Every person writes differently and every reader uses his/her custom lens of preferences to view your resume. The advice offered in this section is meant to generate broad appeal to many employers. Preparing to Write the Resume: This page will help you collect the information you need for your resume. 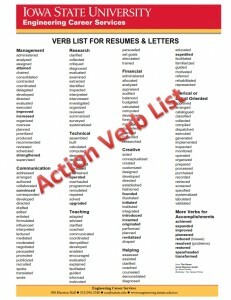 General Tips: This page provides a list of general tips that will help you produce an effective resume. Resume Section Tips: This page provides tips for each of the major sections of the resume. Developing Skills-Based Work Impact Statements: It is essential to include effective bullets highlighting the skills you have developed.